You won't believe it, I almost didn't believe it, but then I drove over the hills and through the woods and I saw it with my own eyes: fresh organic turmeric locally grown in Watsonville! 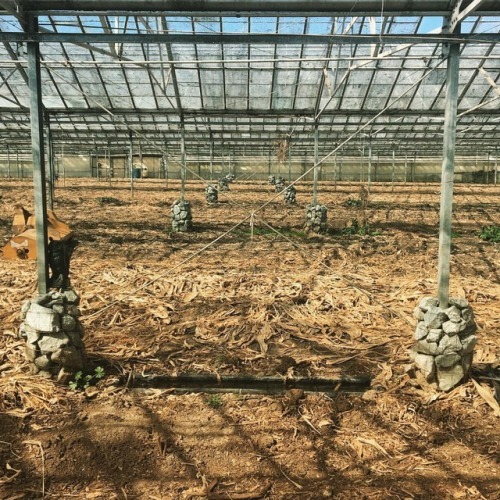 This is one of the greenhouses where the organic turmeric is grown - there’s still lots of turmeric rhizomes in the ground, but the foliage has all died back (kind of like potatoes plants do). Those stacks of rocks are habitats for lizards, the pools of water are habitats for frogs - they provide natural pest control! There are five acres of organic greenhouses on this farm - they were originally built for growing roses, but since 2014 new farmers took them over and they've been converted to organic turmeric and ginger. The greenhouses are very sustainable - they're heated by pumping water in hoses that pass through a giant 25-foot-long hot compost pile and then out into the beds. How clever is that?! The decomposing compost heats up the water, the water heats up the soil, the turmeric grows in the soil, and then we make the turmeric into shrub! All without having to transport tropical crops from halfway around the world! Amazing. So, yes. 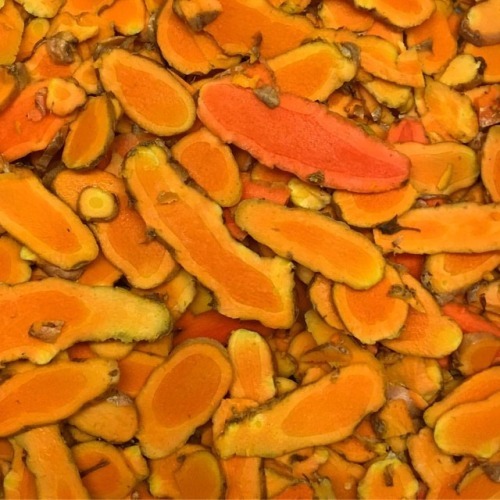 We have made TURMERIC shrub. It’s mind-bogglingly delicious: a flavorful floral savory complex thirst-quenching miracle. Y’all are gonna love it. 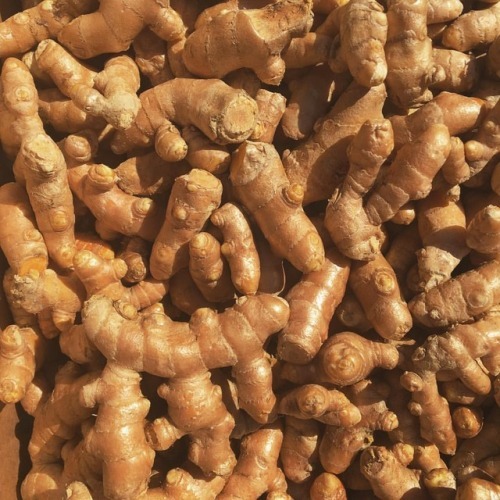 If your only experience with turmeric is with dried powdered turmeric "spice", you should know that fresh turmeric is incomparable to the dried powder (think of the difference between fresh ginger and dried ginger powder - night and day!). I gotta be honest: my own experience with dried turmeric powder has been disappointing, so originally I was a bit skeptical about how fresh turmeric shrub will turn out. And I was BLOWN AWAY with how good it is. okay, I think I made my point: this stuff is really great. Enjoy! Turmeric shrub mixes beautifully with mezcal and whiskey! INGREDIENTS: organic apple cider vinegar, organic unrefined cane sugar, organic turmeric (grown in Watsonville, California).